I'm devastated to report the male was found dead in the kennel when staff arrived on Sunday to feed the dogs. His little mama had to lie there with him until someone removed him. 3 Responses to "Sad update: the male was found dead in the kennel, Old mama alone in shelter, and desperately needing help"
so sad. 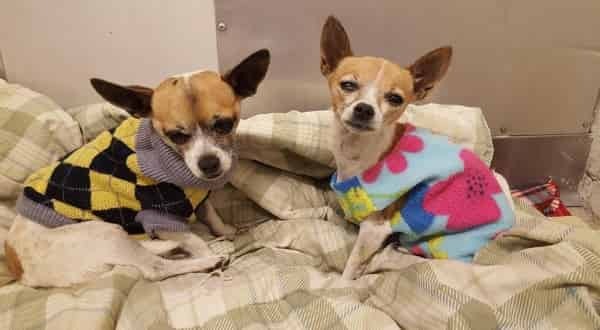 I am getting to really hate people; who would dump 2 old, sweet little dogs in a shelter ? Someone please go get this sweet little girl.